Thank you very much for purchasing a FlightBox kit. We appreciate your business and hope you enjoy using your ADS-B receiver. Please remember that ADS-B services are advisory only. Please review this guide and the Assembly Tutorial video before assembling your flight box. You will need a small phillips screwdriver and a pair of pliers. Magnetic screwdrivers help and will not damage the system. Optional tools include a 5/16” wrench or socket. Remove the Raspberry Pi from the cardboard box and static bag. Insert the USB radio module labeled “978” into the USB port at the bottom-center of the Raspberry Pi. Insert the USB radio module labeled “1090” into the USB port at the bottom-right of the Raspberry Pi. 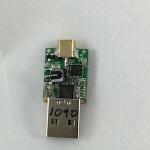 If you purchased the optional Remote GPS unit, plug it into the top-center USB port just above the 978 MHz radio module. 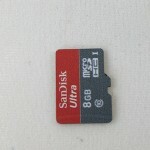 Remove the data card from the bag and insert it into the data card slot on the bottom of the Raspberry Pi. It only fits one way. Do not force the card. Connect a pigtail cable to the jack on the back of each of the two radio modules, with the cables facing towards the Ethernet jack. The cables will overlap slightly. Carefully insert the Raspberry Pi assembly into the case, making sure to align the power connector, HDMI connector and audio jack with the holes in the side of the case. Lower the Raspberry Pi into place so that the four holes in the circuit board line up with the four connectors at the bottom of the case. Use the four ¼“ black pan head screws to secure the Raspberry Pi. Do not force the Raspberry Pi. 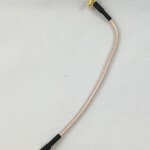 Check and adjust the alignment of audio / HDMI / power connectors if necessary. Remove the nut and lock washer from each pigtail. Secure each pigtail to the case. Use pliers and / or a 5/16” socket to gently snug the bulkhead connector. If you have any issues with the antennas standing up straight, remove the lock washer and use only the star washer and the nut. Attach the fan to the case top using the four long (⅝”) flat-head countersink screws and four nuts from the hardware kit. Optionally use LockTite® or superglue to secure the nuts. Place the top on the case and secure with the three short (¼”) flat-head countersink screws. Connect the USB cable to the power connector and power using USB battery or adapter. Apply power to the USB cable using a USB battery or power adapter. Check to see that the fan is running by looking through the grate on top / feeling for air blowing out. If the fan is not running, check the power connection to the FlightBox. If power is available, check the fan’s connection to the pin header (see Step 15). Using a mobile phone, tablet, or computer, check to see that a new Wifi network is available. The network will be named “FlightBox-XXXXXXXXXXX” (where XXXXX is a unique identifier for your unit). The network should be available within 30 second of power-up. Connect to that network – there is no password required. Open a web browser (Safari, Chrome, IE, etc.) and in the address bar type: http://192.168.10.1 and press enter. This should open the status / configuration page for FlightBox. You should see that the system is active and attempting to receive ADS-B and GPS. Note that you may need to be outside to receive GPS and/or ADS-B signals. You generally will not see any UAT activity on the ground unless you are very near an ADS-B tower. Using any supported EFB application (i.e. ForeFlight, WingX Pro, iFly GPS, Droid EFB, etc. ), enable the ADS-B features (if necessary – see the instructions from your EFB developer).